Tough to balance style with sturdiness. Too much style, and you get an exquisite calfskin bag that falls apart after three weeks of real work. Too much sturdiness, and you end up with a cooler. 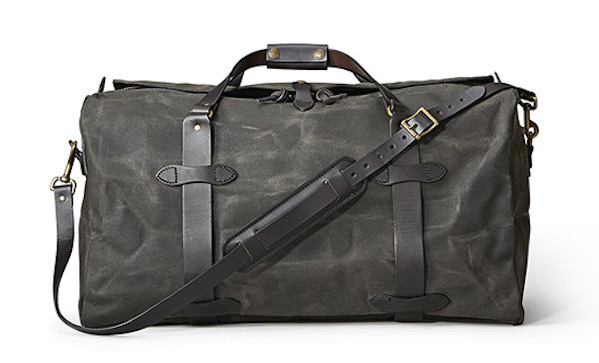 Here’s a good balance: this heavy tin duffle bag ($255) from Filson. The main body is waxed canvas, the straps are bridle leather, and the snaps are brass.